Welcome to my website, a virtual tour of my writing. Most of my stories are about sports, but not really. I write about people -- things they do, things they say, things they dream of doing and saying. the final 13 as Texas Sports Editor, and I've written six books. and a freelancer who enjoys finding and telling great stories. In recent years, I've become a runner and I enjoy writing about that, too. 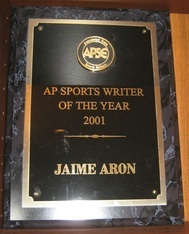 READ SOME AP STORIES, including those that brought home this prize. CHECK OUT MY BOOKS, including the one that reached the Oval Office. 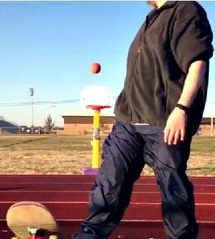 GET TO KNOW ME, or at least watch my family's basketball trick-shot video.